Trullo Adagio, a holiday villa for rent in Puglia, southern Italy. 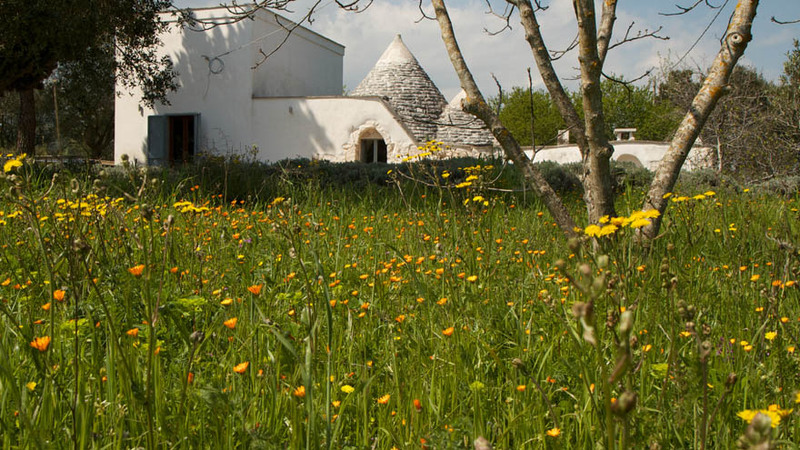 The trullo consists of a master bedroom, with en-suite bathroom. A twin bedroom with en-suite bathroom. A sitting/dining area with comfortable chairs. A kitchen with a 4 ring hob, small oven, wood oven and fridge. Sunbeds, umbrellas and shaded outside eating area is also provided. A 10m x 2m pool. 8,000m2 of olive and various fruit trees (help yourself to the fruit when in season). Free Wifi is now available at the trullo. A tv with dvd player (and a small selection of dvds). Logitech Purefi Dream iPod Dock with an Ipod nano loaded with a wide range of music. A Bluetooth Splash Speaker for playing music around the pool. Please note smoking is not allowed inside the trullo. A film of the trullo can be viewed here to give you an accurate look of the property. The trullo is 40 minutes from Brindisi airport which is served by Ryanair from Stansted, Barcelona, Brussels (Charleroi), Eindhoven,Paris and Stockholm. Bari airport is approximately 1hr 15 minutes away and is served by Ryanair from Stansted, Brussels, Paris, Dusseldorf, Frankfurt, Karlsruhe and British Airways (Gatwick). Easyjet fly to Bari from Gatwick. They also fly to Bari from Milan (Malpensa). Also a Brindisi service from Paris, Milan and Geneva. Easyjet will also serve Brindisi from Gatwick from 1st April 2015.